What Are the Most Important Estate Planning Issues? 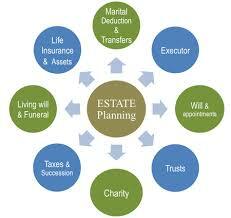 There are a number of important issues to consider when you are devising your estate plan. Each situation is different, and as a result, there is no one-size-fits-all plan. You should understand all the facts and work with a licensed estate planning attorney to create a custom crafted plan that ideally suits your needs. Let’s look at some of the most important estate planning issues that can enter the picture. You have to be aware of the potential for taxation when you are planning your estate. We have a federal estate tax in the United States, and it carries a 40 percent maximum rate. There is also a gift tax, so you cannot give gifts while you are living to avoid the estate tax. There are no taxes on asset transfers between spouses, but transfers to others are potentially taxable. During the current calendar year, there is a $5.43 million estate tax credit or exclusion. This is the amount you can transfer before the estate tax would kick in. We practice law in Connecticut. There is a state-level estate tax in our state. The exclusion on the state level is just $2 million. If you are exposed to taxation, there are steps that you can take to gain estate tax efficiency. You can implement asset protection strategies if you are concerned about lawsuits. It is also possible to protect assets that you are transferring to your loved ones. People with special needs often rely on government benefits like Medicaid and Supplemental Security Income. These are need-based benefits, so an improvement in financial status can result in a loss of eligibility. It is possible to create a special needs trust to help a person with special needs without impacting his or her benefit eligibility. Long-term care is very expensive, and Medicare does not pay for it. Medicaid will pay for living assistance, but you have to plan ahead in advance to qualify at the right time. This is something to take into consideration when you are devising your estate plan. Incapacity planning is also an important component. Many elders become unable to handle all of their own affairs at some point in time, and you can execute durable powers of attorney to name decision-makers to act on your behalf in the event of your incapacitation. We have provided some broad, basic information in this blog post. If you would like to discuss your estate planning objectives with a licensed professional, our firm would be glad to help. We offer free consultations, and you can send us a message through our contact page to set up an appointment: Hartford CT Estate Planning Attorneys.